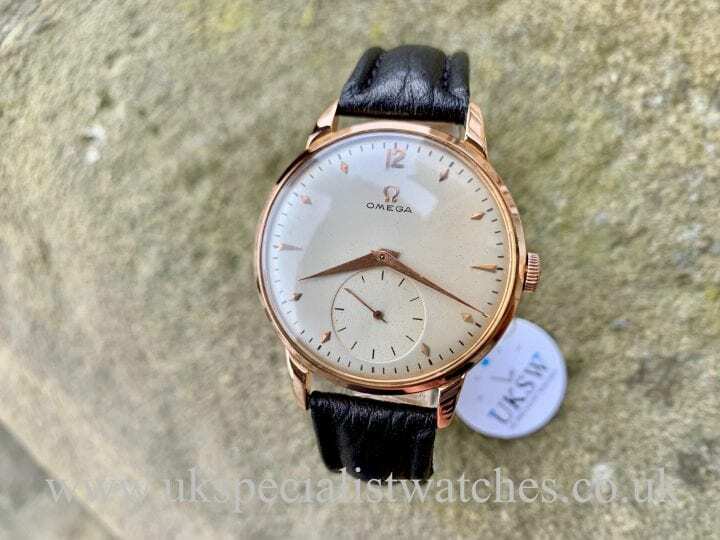 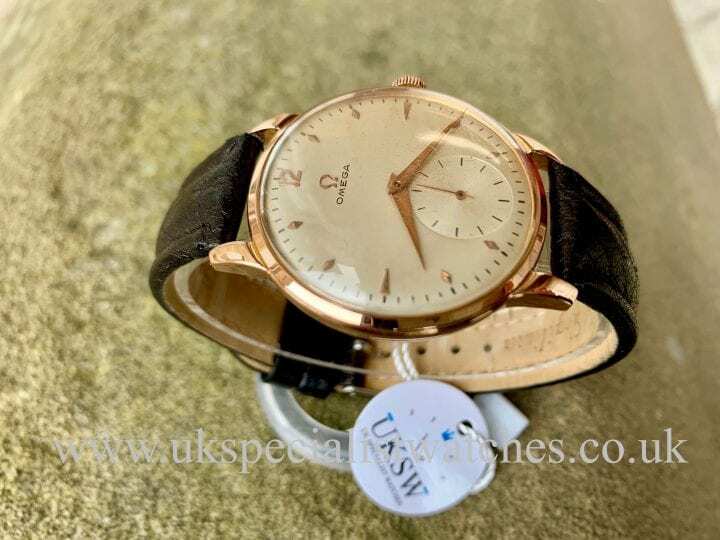 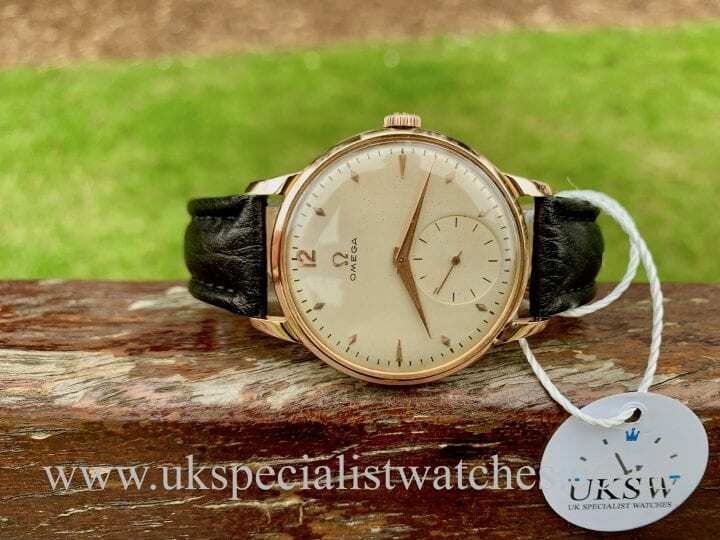 Vintage Omega Jumbo dress watch with a larger 37mm solid 18ct rose gold case. 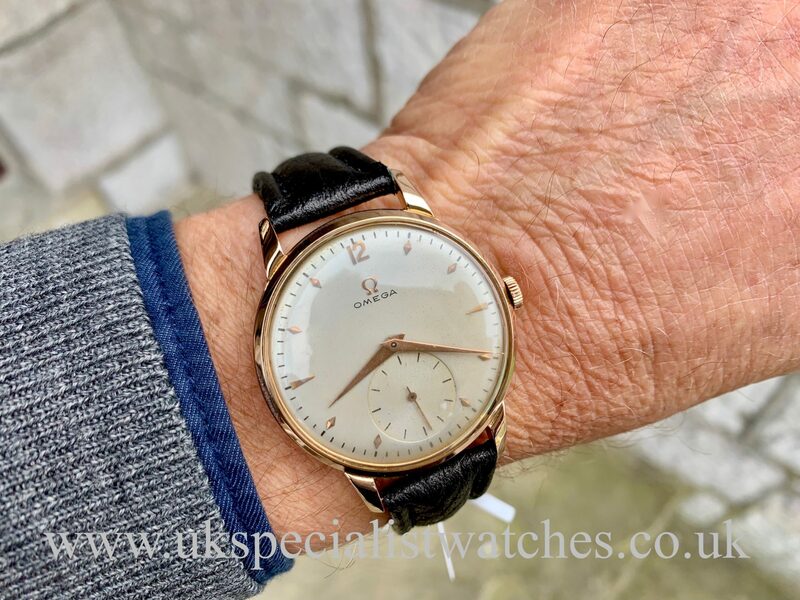 Ivory dial with rose gold batons with Arabic 12 and small seconds positioned at the 6 o clock position. 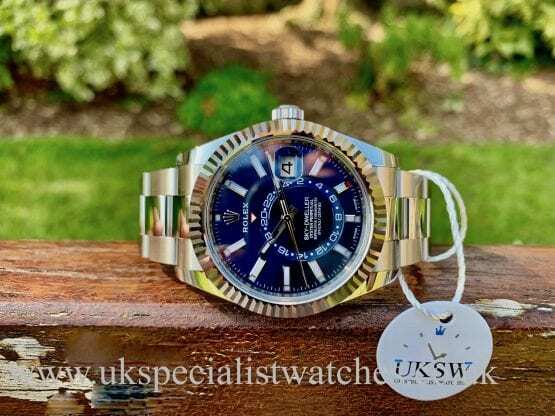 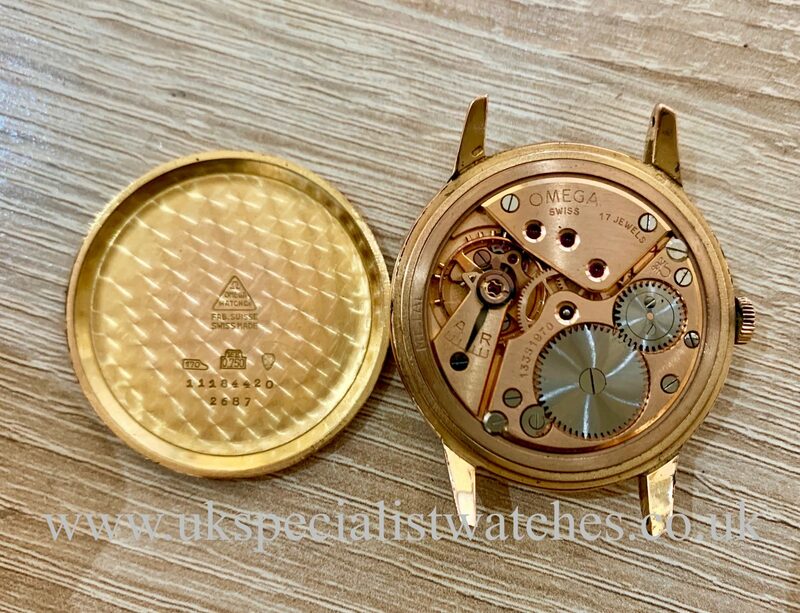 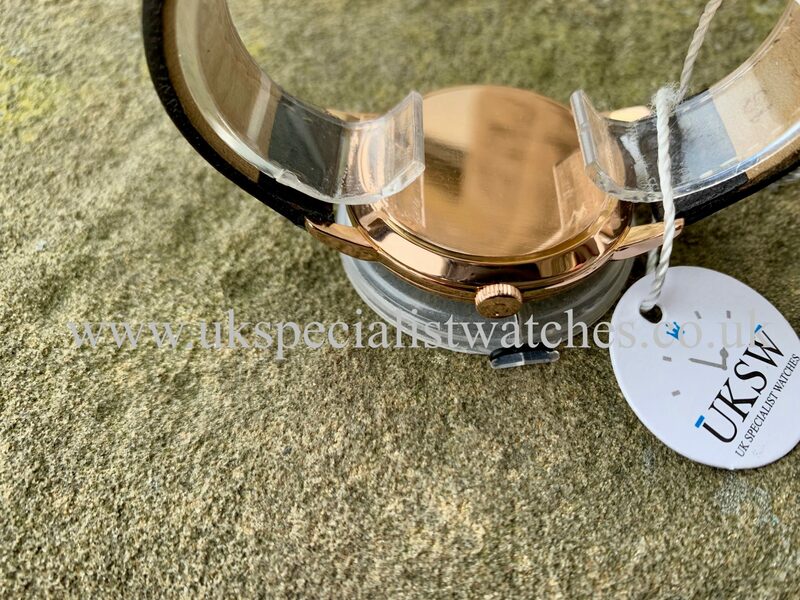 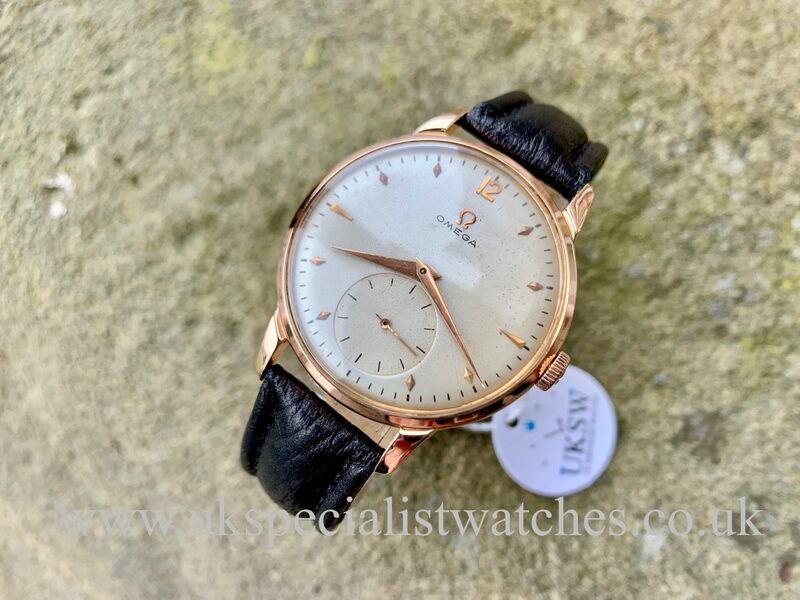 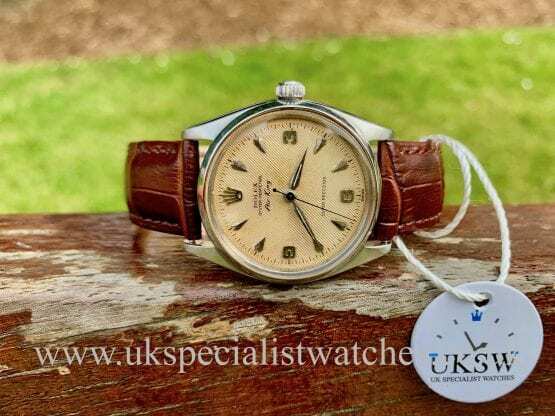 Fitted to a black strap with a gold Omega buckle This watch is in beautiful, original condition and is particularly rare to come across a vintage dress watch in this era with such a large case size.